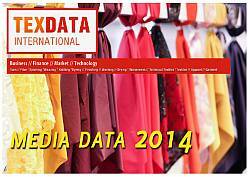 Since 1997 TexData International offers a world wide information service for textile industries. The company started out as a web-pioneer with an extensive and structurated data reference of products and manufacturers of textile machinery. In addition the company produces since 1999 twice a month the well reputed and widely read TexData Infoletter. TexData is the pioneer in the electronic information for the international textile industry. Nowadays electronic publishing is an important part of communication and marketing for each company in the world. Customers like smart electronic services to inform about innovations and improvements within their industries and prefer this kind of information delivery more and more. TexData informs its readers in a fast and easy way with all relevant news along the textile value chain. The high Google page rank 5 shows the importance of texdata.com for the textile industry inside the world wide web. And TexData is more than a web portal. With the buyer’ s guide which lists all companies sorted by product categories TexData is also a knowledge base and can influence decisions for the evaluating process of suppliers with all facts in one web. SEINT - Servizi Espositivi Internazionali S.r.l.